Few inventions have changed the way people live and experience the world as the invention of the airplane. Did you know that the world’s first scheduled passenger airline service took place between St. Petersburg and Tampa, Florida, on January 1st, 1914? The 21-mile trip took 23 minutes and the cost was $5 per person. We’ve come a long way since then. In 2015, 3.5 billion people took to the skies. There’s never been an easier time to get out and explore the world. Airlines will take you anywhere on the planet you want to go. But finding the best deal on that airfare can take a bit of research and time. And with so much information out there, it can be difficult to know where to start when you’re booking that flight…whether it’s a vacation to Europe…a retirement scouting trip to Ecuador…or a trip to visit your grandkids in another part of the country. 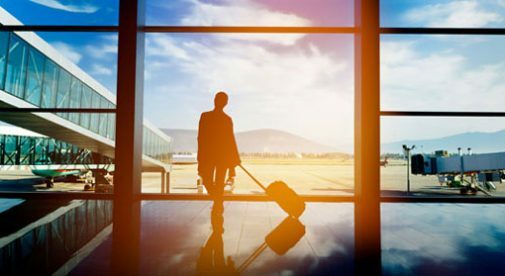 We all know that online flight-search aggregators are the best way to find the cheapest deals on flights, but which sites are actually finding you the cheapest flights and which ones are serving up duds? Kayak: Kayak fights tenaciously for your pennies and will almost always beat out the competitors for cheap flights. Kayak’s advanced search features means you can filter searches to your exact specifications and even find “hacker fares” (flights comprised of two one-way flights on different airlines that are cheaper than a return fare). Skyscanner: Skyscanner is also worth your attention. This site started out listing budget European airlines only and so is hugely popular throughout Europe. In the last few years they have expanded their geographical reach and now includes carriers to, from, and within North America, Asia, and other parts of the world. Skyscanner is particularly good at finding travel destinations during a certain period that fit within your budget. As a testament to its growing popularity, 50% of its customers are repeat users. Hipmonk: Hipmonk’s domestic flights are a bit pricier than Kayak’s but their international flights tend to be cheaper. Hipmonk lets you filter your results by total travel time, ensuring that your lay-over agony is kept to a minimum. Priceline: Priceline stands out because of its unusual bidding tool, allowing you to “name your own price” on flights. Bidding on flights lets you save up to 40% but you won’t get to choose exact flight times or airlines beforehand. However, it’s guaranteed you’ll be flying between 6 a.m. and 10 p.m. on one of Priceline’s partner airlines.